March 1944, Camp Wheeler Basic Training Company Photo. 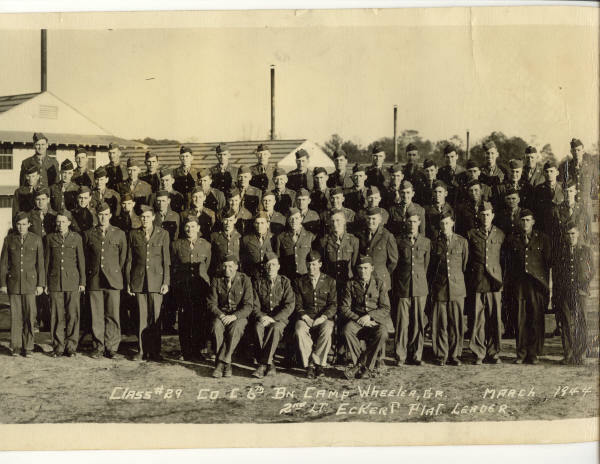 Glenn W. Goss is the 10th solder from the left in the front (standing) row. Glenn was KIA on Oct. 26, 1944 with the 90th. Back to the Company Photos ListingGo!